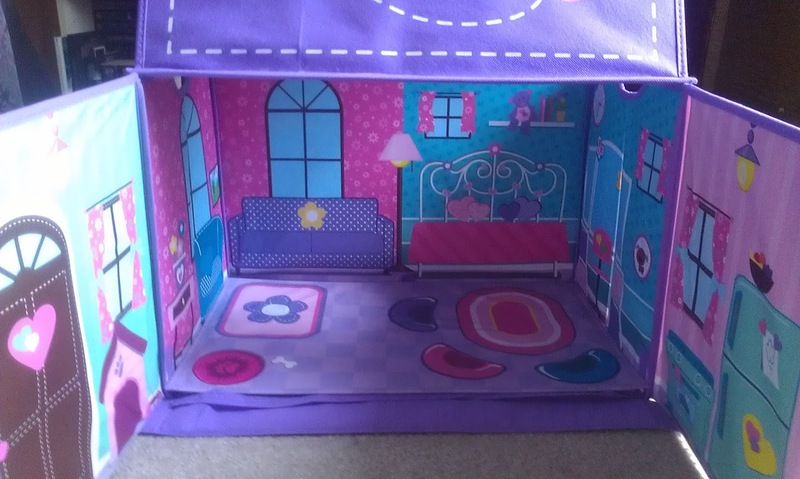 I got this absolutely adorable dollhouse from Playfully Ever After to review and it was a huge hit with my daughter and, admittedly, myself. The colors are mostly bright pinks and purples and it folds up and reduces to about an inch thickness so it's easy to store under the bed or in a closet and setting it up is so easy that I was actually able to do it with one hand while I was recording a video of it for my Amazon review. Here's what it looks like all set up. What's great is that it's a pretty good size so you can store all your dolls and doll furniture in it when it's not in use. As a matter of fact, my two year old crawled into it and he actually fit in laying down, kind of curled up a bit. That material is a vinyl type covering and is really easy to wipe off any time it needs to be cleaned. 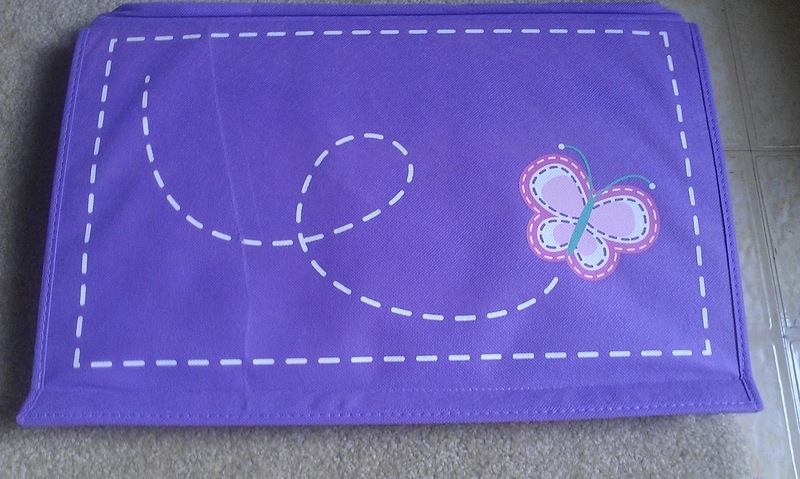 See how cute the inside of it is? 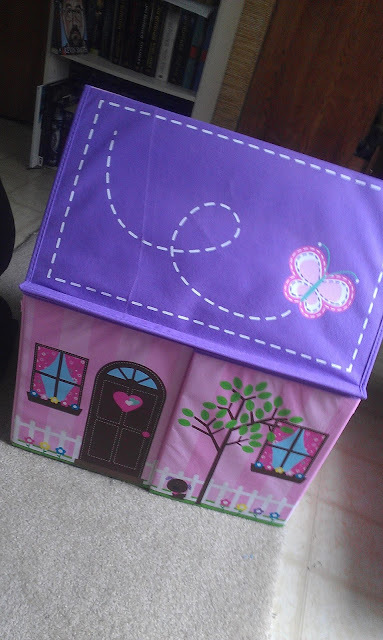 Your child can add their own furniture to it or pretend with the furniture that is already printed on the material. 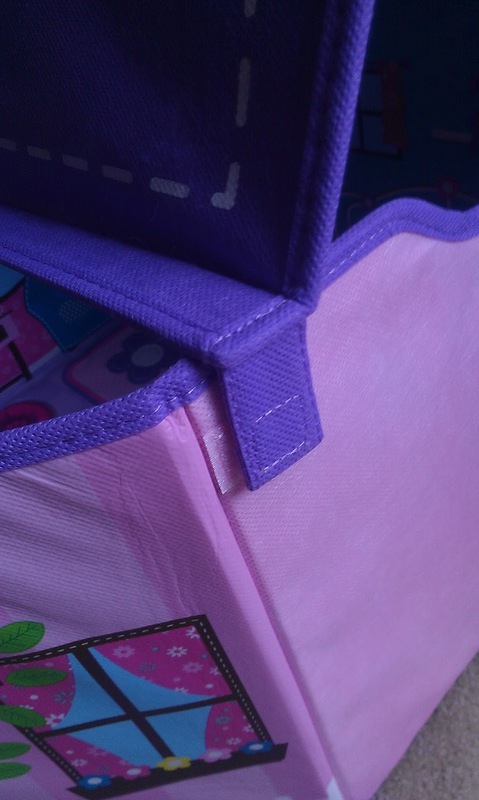 It does open up as well to give more access to the inside of it. The roof has Velcro so it will stay put while you have it unfolded and open. It really is an adorable little doll house or you can use it to store dress up clothes or stuffed animals in as well. 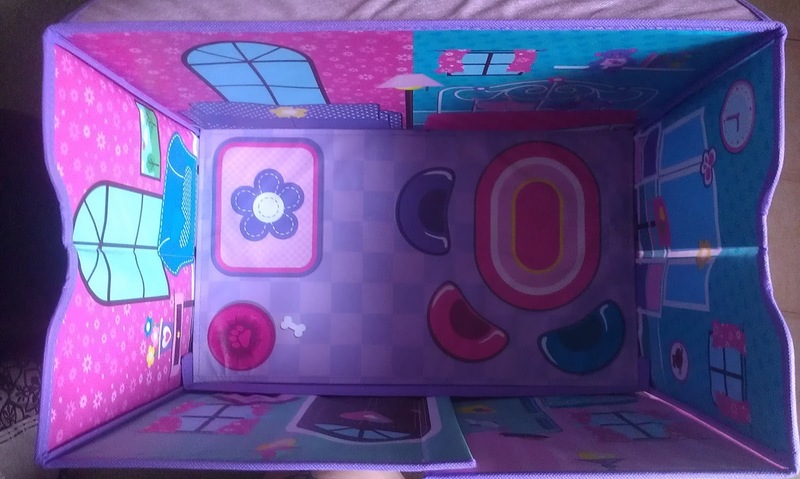 My daughter was ecstatic when she opened it. They even included a bonus color by number and stick book in the box! *Disclosure: This product was received in exchange for an honest, unbiased, review. The reviews and or opinions on this blog are 100% my own. No monitory compensation was received and I was not required to write a positive review. I am disclosing this in accordance with the Federal Trade Commissions 16 CFR Part 255: Guides Concerning the Use of Endorsement and Testimonials in Advertising .